After a 4 days pause, I'm finally back! 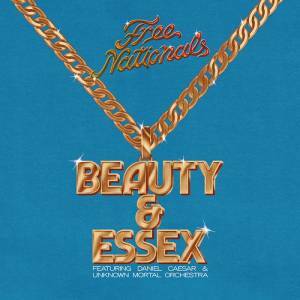 Landed back in Berlin to the news of the new Free Nationals track "Beauty & Essex" featuring Daniel Caesar & Unknown Mortal Orchestra. What a Pleiades of amazing musicians! Free Nationals (who are also playing with Anderson .Paak live) are gearing up for their self-titled debut studio album and if that's how they kick-off this journey, then we're in for some smooth r&b vibes ahead. In addition, the record is rumoured to feature other artists including Kali Uchis, Syd, and the late Mac Miller.